​Leicester City are believed to be readying an offer to bring in Newcastle United's Rafael Benítez as their manager next season, as the Spaniard becomes increasingly frustrated with the Magpies' struggles to sign new players. 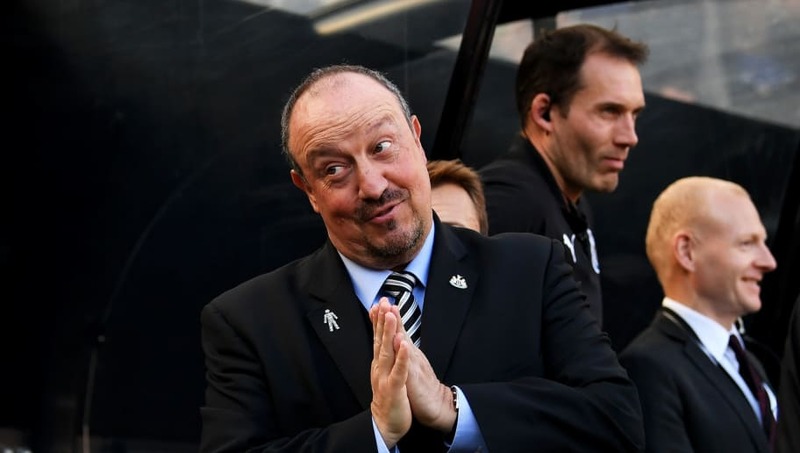 Despite remaining faithful to the club when they plunged into the Championship back in 2016 and immediately hauling them back up to the Premier League, Benítez has not been rewarded with a sufficient transfer budget this season. After failing to strengthen the squad, the Magpies are in danger of another relegation, as their owner, Mike Ashley, continues to withhold funds. According to the Northern Echo, ​Leicester are monitoring Benítez's situation at ​Newcastle closely, and are believed to be ready to offer him an escape route. The Foxes board are well aware that their current boss Claude Puel is becoming an increasingly unpopular figure among fans due to a conservative style of football, and could look to make a change in the summer. The report claims that if the Magpies are unable to conclude any business upon the transfer window closing on Thursday evening, Benítez will set in stone plans to walk away at the end of the current campaign. The Magpies are currently believed to be after Atlanta United striker Miguel Almirón, but are again struggling to conclude the deal due to financial constraints. Benítez is believed to be keen to continue managing in England, having reportedly rebuffed offers from a number of clubs in mainland Europe. The former ​Liverpool manager saw his side crash out of the FA Cup on Saturday after a dispiriting 2-0 home loss to Watford, and his time at the club is now surely drawing to a close. Meanwhile, forgotten left-back ​Achraf Lazaar looks set to leave the club before Thursday's deadline. The Morocco international has made just four league starts (all in the Championship) since joining the club back in 2016, and is believed to be on the verge of ending his time on Tyneside and join Cagliari on loan until the end of the season.